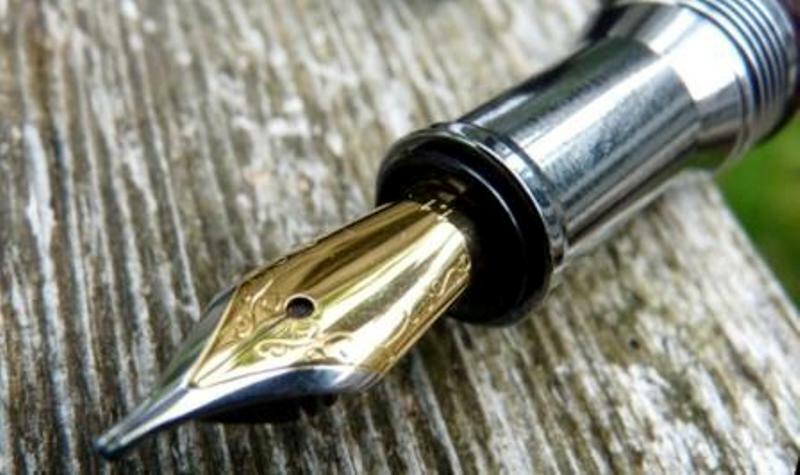 A little bit of history British fountain pen manufacturers are a rare breed these days. One of the last to go was Sigma, but the plans for their Rhapsody model live on and have been revived by Italix, the small firm responsible for the Parson’s Essential – which is already quietly famous in our little FP-universe. The plans, and indeed some of the old workforce, have come together to produce a pen almost entirely produced in the UK. The only part of the pen sourced abroad is the Bock nib but even that receives regrinding on this little island to achieve the smoothness this brand is known for. So, things are looking good for anyone wanting to indulge in a spot of flag-waving but, naturally enough, the producers are hoping it will sell as an export too – and to that end, we were grateful when PJ Ford, aka ‘Mr. Pen’, sent us an early test unit to put through its paces. How it looks Gently sparkly, in a way which is difficult to capture on the camera to be honest. There is a depth to the sparkle that you can only really get by twirling the pen in sunlight. But the mottled-tortoise brown is rather tasteful. Several of us have been tempted by one of the other new colours, the rosy pink ‘candy’ version, and apparently other hues are on their way too. It does look quite distinctive; there’s not much exactly like this out there. How it feels Solid and nicely-balanced: the cap posts very securely, thanks to an internal spring holding it in place, and the design has been well thought-through. It’s clearly designed to be used posted but it’s comfortable unposted too. The metal section is not to everyone’s taste; some found it too narrow for comfort, others have experienced a bit of slipperiness. But it does feel well-built and likely to last. How it fills This is a straightforward cartridge/converter number. It comes with a decent quality Schmidt converter and there’s really nothing to complain about there! Pen! What is it good for? That probably depends upon your choice of nib, of which there are many. With a standard round nib it probably would indeed be just the thing for a curate to record PCC minutes with, or even for signing the parish register. 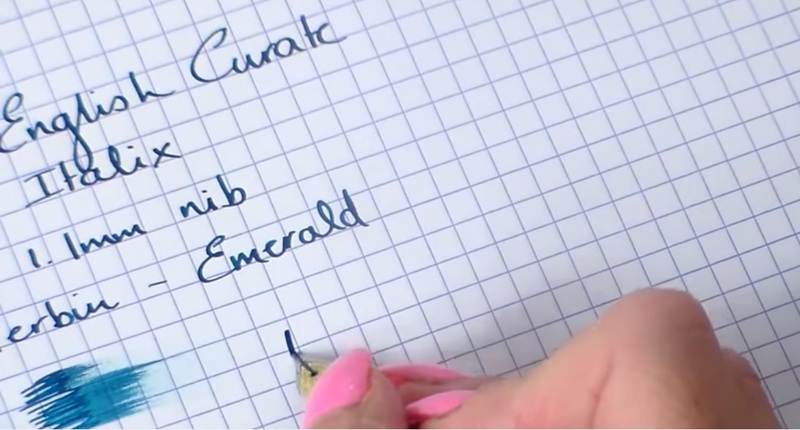 With one of the wide range of italic nibs it’s probably a pen for fun. The nibs are good value in their own right, so it’s perfectly possible to buy both and stay, err, agnostic. Value For Money Pretty good, particularly considering it’s manufactured in the UK. Labour costs alone mean that this could never be as cheap as a pen largely sourced from Chinese components but the quality is also likely to meet your expectations as a result. It’s not an ultra-cheap pen, certainly, but it’s far from the luxury market that Conway Stewart tried to survive within (more on that in a future meta-review). Many of us have been tempted to indulge, at least! If this isn’t quite your cup of tea, but almost… There are still some ‘new-old stock’ Sigmas on the Italix retail site or you could try the cheaper Parson’s Essential to see if Mr.Pen’s nibs suit you. Our overall recommendation Parts of it are excellent… but nothing about the curate’s pen is a curate’s egg! Apart from that metal section there is little reason to hesitate here, and a lot to like. Where to get hold of one The best approach is direct, via the Italix site; aside from considerations such as postage or customs charges for international customers you’re unlikely to find it cheaper anywhere else. If you would like to be the proud owner of THIS very pen, however, it could be yours – we’re giving it away! To enter, please leave a comment telling us what pen you’d like to have stashed in your cassock if you joined the clergy (whatever rank, denomination or indeed religion); we’ll pick a winner at random from all entrants on 25 October. 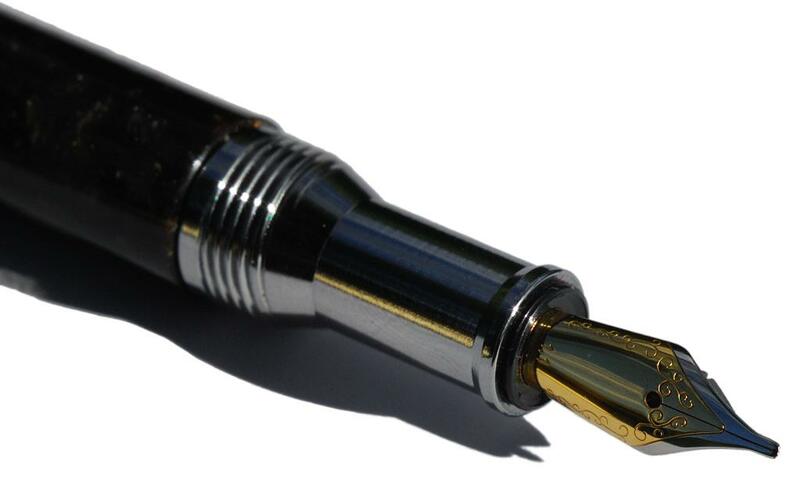 Thanks to ‘Mr Pen’, aka PJ Ford, for kindly supplying the pen for our reviews (and indeed for the amazing give-away). I think a Burgundy Kaweco sport would be the understated, classic choice. We hope you enjoy the pen as much as we all did!